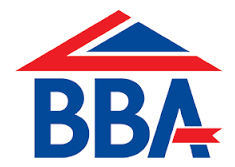 The BBA is committed to helping businesses supply the construction industry with products, systems and installers of the highest quality. 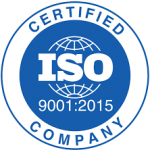 Since their launch in 1966 they have developed rigorous testing, inspection and certification services to support manufacturers and installers achieve excellence and provide reassurance throughout the industry. For many years the British Board of Agrément has issued Agrément Certificates for cavity wall insulation and these, together with the related BBA Approved Installer Scheme, have provided high levels of assurance in respect of the some six million cavity wall insulation installations carried out over the past 20 years. NICEIC’s Green Deal Installer Scheme is a scheme that supports those installing energy efficiency measures and allows GHE to notify building control of cavity wall insulation that has been installed. NICEIC contractors undergo a rigorous assessment process, covering a representative sample of their work, their premises, documentation, equipment, and the competence of their key supervisory staff. They are then re-assessed on a regular basis to ensure continued compliance. CIGA (The Cavity Wall Insulation Guarantee Agency) is an independent body that provides 25 year guarantees for Cavity Wall Insulation fitted by registered installers in the UK. All members installers of CIGA are assessed for competence and must follow the technical guidance for the material used and CIGA Best Practice Guidance. The CIGA Guarantee covers defects in materials or workmanship, and in the event of a problem CIGA’s technical department is there to help. The 25 Year CIGA Guarantee is sent out in the post after the install is completed.